Hot tub running costs. How much energy does a hot tub use per month? Picture the scene. You’re relaxing in your brand new hot tub. After a month of pure bliss and relaxation… your first hot tub energy bill arrives. Is it as you expect? What are your hot tub running costs? 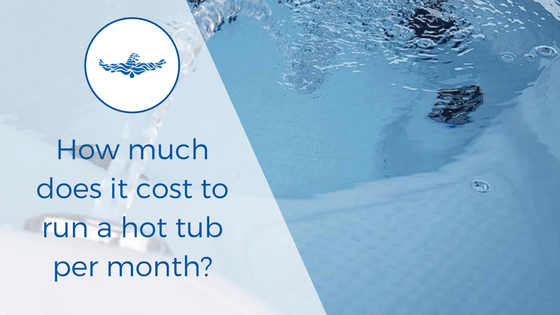 Before you buy a hot tub monthly running costs will likely be top of your list of questions. The last things you want to do is spend money on a hot tub, only for it to cost way more than you budgeted per month. Regardless of what hot tub you buy and how much you spend. Hot tubs cost a lot of money. If the running costs are a lot more than expected, then you might end up turning the hot tub off. Which, will mean all that money you spent will be a waste and not an investment. In this article, we will look at how monthly hot tub running costs will be. We’ll talk about how why not all hot tubs cost the same to run. And what can reduce or increase your hot tub energy bills? The hidden costs of a hot tub. What could a hot tub end up costing you? Want to buy a hot tub but have no idea where to start? for information on the 4 key things you need to think about before buying a hot tub. Will a hot tub increase your energy bills per month? Hot tubs run on an electrical supply. They usually need between 13 and 40 AMPS of power to run. The electricity powers the heater, pumps, lights and all the other working components on the hot tub. It’s usually recommended that hot tubs run 24/7. So it goes without saying that installing a hot tub will increase your monthly energy bills. So, you need to consider the hot tub running costs before you buy. But how much will your bills increase by? 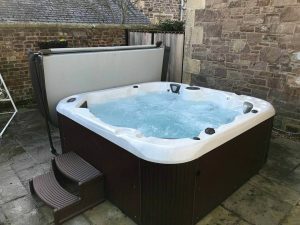 How much does it cost to buy a hot tub in Scotland? Hot tub running costs vary massively between manufacturer. A well insulated and quality hot tub should cost you no more than £30-£40 a month. Potentially less, depending on the temperature you hold it at the level of insulation you have in the hot tub. However, poorly constructed hot tubs can cost upwards of £100/month. So how do you know where the hot tub you falls on this scale? Do cheap hot tubs cost more on electricity per month? Quite often we are asked why our hot tubs are more expensive than some of the cheap hot tubs on the marketplace. There are a few reasons for that. But one of them is the life-long running costs of premium hot tubs in comparison to cheap hot tubs. It’s not that cheap hot tub automatically cost more to run than expensive hot tubs. But usually the quality of the build and insulation is lower, which makes the overall running costs more expensive. While the average running costs of a hot tub should be £30-£40 per month for a well build hot tub. It’s common for people to come to us with advice on how to lower their hot tub costs as they’ve bought elsewhere and it’s costing them £100-£120/month. Way higher than they budgeted for. We usually find these are either really cheap hot tubs. Or old hot tubs bought second hand. Let’s look at the life-time running costs of a hot tub. Comparing a budget hot tub costing £4500. With a hot tub that costs £8000. Hot tub 1: costs £4500 to buy + £100 per month to run. By half way through year 5, the cheap hot tub has cost you more in running costs alone. Quality hot tubs can routinely last 10 years plus. By year 10, if your cheap hot tub lasts that long, the cheap hot tub could have cost £4300 more than a quality hot tub. And that is not to mention any money you have spent on warranty and quality issues in that time. What can you do to ensure that when you buy a hot tub the energy bills are as low as possible? These are just a couple of things you should look out for when buying a hot tub to keep your running costs low. Buy a good quality hot tub. 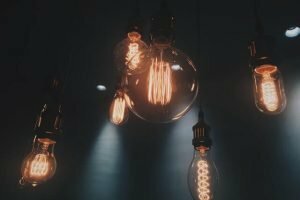 Get the best possible electricity tariff. The lowest unit price will help keep your hot tub energy costs down. Keep your hot tub at temperature all the time. Little and often is the most efficient way to heat your hot tub. Plus it means it is ready to jump in 24/7. It’s not cost-effective to constantly reduce and increase the heat. A well-insulated cover. Sixty percent of the heat is lost through the top of the hot tub. A well-insulated cover helps keeps the heat in. Insulate the cabinet. We recommend full foam insulation from the shell to the interior cabinet. This preserves heat. Plus it has the added bonus of securing the pipework to prevent the likelihood of leaks. Turn of your air valves. If you have air valves or jets turn these to the off position when you are not using your hot tub. Introduction of air will lower the water temperature. Leaving these on when the filtration cycle runs will increase hot tub energy usage. Hot tubs will cost you extra money on top of your current electricity bills. But, a well built hot tub shouldn’t add any more than £30-£40 max. There are ways to reduce your hot tub energy bills if they are too high. But the best way to keep your hot tub electric bills low is to ensure you buy a well built and efficient hot tub in the first case. For more information on how to buy your perfect hot tub download our FREE buyer’s guide. How much does it cost to buy a swim spa? Ways to reduce the monthly runnings costs of your hot tub?